Mr. Lekan Fadeyi, Public Relations Officer of the Ladoke Akintola University (LAUTECH) in Ogbomoso, Oyo state said the Osun state Government had released N500 million to the Institution as promised so as to solve some of the financial challenges of the school. 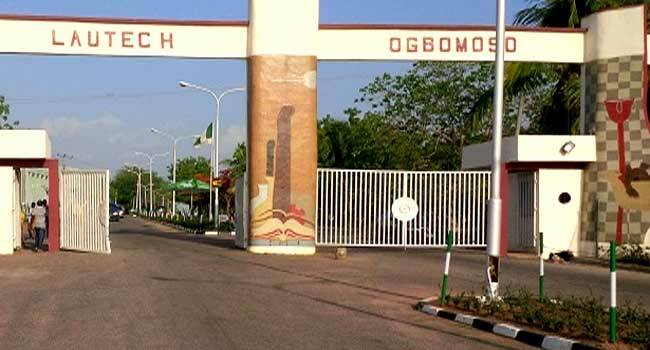 LAUTECH has been battling the owners of the institution (Oyo and Osun state) over responsibility negligence to the school which leads to frequent strikes and closure of the school often. “To further demonstrate its commitment to the continued existence of LAUTECH, the Osun state Government has fulfilled its promise to release the sum of N500 million to the University. “The amount that was promised last week by the state governor, Rauf Aregbesola hit the institution’s account on Friday. Governor Aregbesola had, while receiving members of the Governing Council and Vice-Chancellor of LAUTECH, Prof. Adeniyi Gbadegesin, last week, explained that the state was committed to the welfare of staff and students of the Institution,” Fadeyi stated.